Ireland has been saddled with a preposterous amount of debt and should seek a deal with other bailout states like Greece, Greek finance minister Yanis Varoufakis said today. "We should seek a sensible debt relief exercise...not just for us," he added, but countries like Portugal," he told RTE in an interview on Morning Ireland. Ireland has the fourth highest government debt to GDP ratio in the EU, Greece has the highest with Italy and Portugal in between. The IMF has said that given the level of money that Greece owes, a debt deal, including a write-off, may be necessary. Taoiseach Enda Kenny has said that Greece, like Ireland, should look for better terms in relation to its bailout loans but not a write-off. Germany, one of Greece's biggest creditors, has ruled out any negotiations ahead of Sunday's referendum vote on bailout terms. Mr Varoufakis said Greece had signed a number of "fake" deals with the EU/IMF/ECB at this stage and he also denied that his Government had failed the Greek people. "We didn't fail, Europe failed.....it didn't listen to reason," he added, although he admitted that his Syriza government had made mistakes. He said on several occasions that there would be a new bailout deal with creditors and that there had been private discussions. 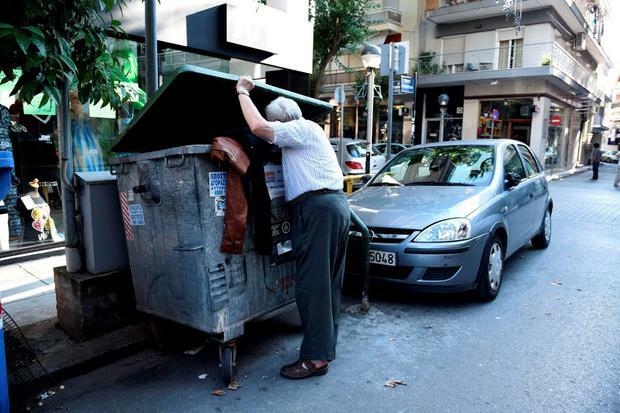 Greece owes its creditors over €250bn and the Greek people's ATM withdrawals have been capped at €60 a day. Pensioners are struggling to access cash at closed banks and the people will vote in a referendum on Sunday on whether to support bailout terms with polls too close to call a result, although the yes side is shading it. 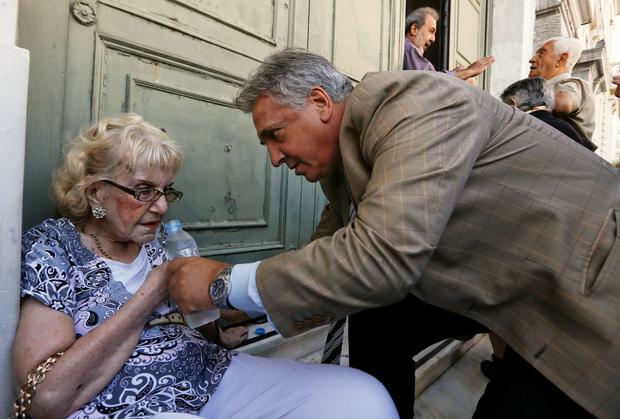 "Even if is a yes vote, Syriza will remain the only credible party," he added. Mr Varoufakis also denied that Greek banks were insolvent and insisted they would open again on Tuesday. 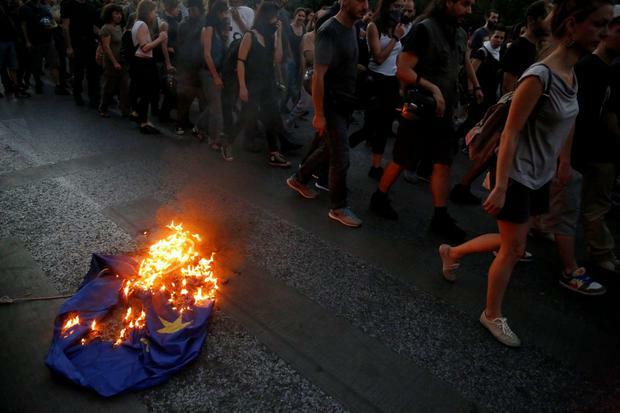 Greece's economy is in free fall and the banking system has all but collapsed. Constantine Michalos, head of the Hellenic Chambers of Commerce, said lenders are simply running out of money, the Daily Telegraph reported. "We are reliably informed that the cash reserves of the banks are down to €500m. Anybody who thinks they are going to open again on Tuesday is day-dreaming. The cash would not last an hour," he said. "We are in an extremely dangerous situation. 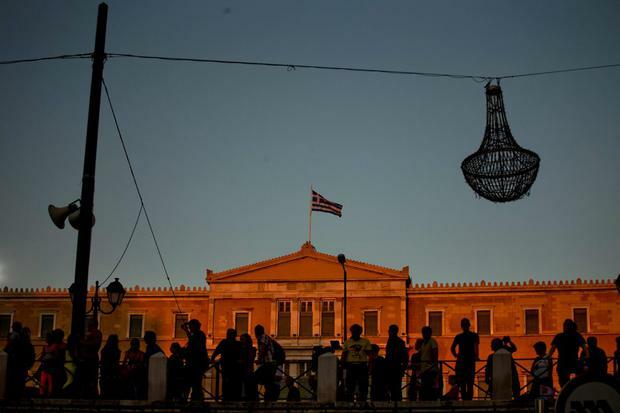 Greek companies have been excluded from the electronic transfers of Europe's Target2 system. The entire Greek business community is unable to import anything, and without raw materials they can't produce anything," he said. Earlier Mr Varoufakis admitted that the couintry was in a war-like situation.